How Far is Abodh Valmark? Welcome to a home where the breeze wafts in gently, and with it, brings you the melodious chirping of the birds. A living space, which offers grace with convenience and comfort with style. Near the city yet tucked away far enough to escape its deafening rush, non-stop traffic and choking dust. 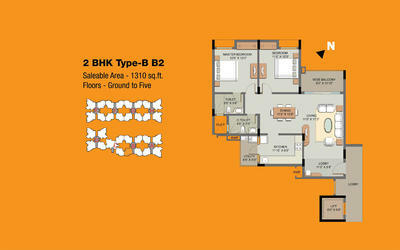 Welcome to Abodh, an exclusive residential apartment complex coming up in the fast developing North Bangalore. Attention to detail and excellent construction quality, with every convenience well taken care of, the flats at Abodh are designed to provide absolute happiness to all its residents. 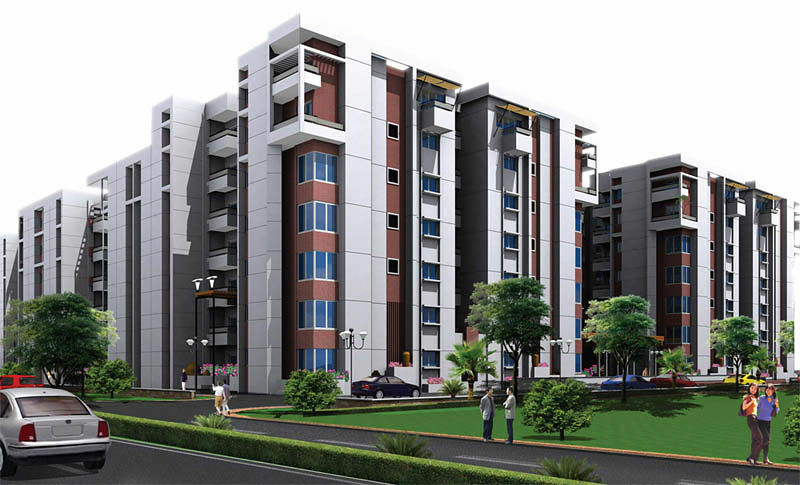 19 kms from Bangalore International Airport 1.2 kms from Manyata Tech Park 2.8 kms from Hebbal flyover 10 kms from Vidhana Soudha 10 kms from M.G Road 600mts from Outer Ring Road 8 kms from City Railway Station 11 kms from KR Puram station 7 kms from Cantonment station Well-developed residential localities like HRBR Layout, Kamanahalli, HBR Layout, Kalyannagar, Jal Vayu Vihar, and Hennur within a radius of 5 kms. RCC framed seismic II compliant structure l Solid Concrete Block Masonry l All internal walls are smoothly plastered with lime rendering. Vitrified Tiles for Living, Dining & Bedroom l Ceramic Tiles Toilets l Ground Floor Lobby Area and Staircase - Combination of Marble and Granite l Higher floors Lobbies and Staircase Combination of Kota or equivalents. Main Door - Teak Wood Frame with designer BST doors finished in Melamine Polish on both sides l Internal Doors Hard Wood Frame with flush doors painted both sides. Powder coated Aluminium / UPVC sliding windows with plain glass in three tracks with mosquito mesh. Provision of plumbing points for sink and electrical points to accommodate modular kitchens l Granite kitchen platform with stainless steel sink will be provided on request otherwise kitchen will be designed to suit modular kitchen. 5 KW power for 3 BHK Unit and 4 KW power for 2 BHK Unit l One ELCB for the flat and one MCB for each room provided at the main distribution box within each flat l Elegant Modular Switches l TV points in Living Room and Master Bedroom l Telephone Point in Living and Master Bedroom. Interior - Oil Bound Distemper Painting l Exterior - Exterior Cement Based / Emulsion Paints. Sanitary ware of branded make with Wall Mounted EWC l Wash Basin with Granite Counter in Master Bedroom l CP Fittings of branded make. Two suitable elegantly designed automatic lifts per block of 8 and 15 passengers capacity. Over the last 2 decades and many successful projects, one can say that the secret to Valmark’s success is the company’s unfaltering attention to detail and commitment to quality that exceeds expectation. The Rich Legacy Of The Brand Is Why Homes That Are Built The ‘Valmark Way’ Stand Tall Even To This Day. From Residential Homes To Commercial Spaces, From 29 Storey Apartments In Bengaluru To Lavish Villaments Overlooking A Lake. Valmark Offers A Wide Range Of Offerings That Are Suited For People From All Walks Of Life. Each Valmark Home Is Made By People Who Understand Design, Who Understand The Psyche Of The Discerning Urban Citizen. If The Rising Apartment Sales Of Each Of The Valmark Properties In Bengaluru Is Any Indication Of What People Like; Then One Can Say That The Smart Urban Dweller Is Chasing A Home That Truly Reflects On This Deeply Held Beliefs. Whether It Is The Love Of Nature Or The Love For A Sustainable Lifestyle. Valmark Is Making It Possible For People To Embrace Their Lifestyles Without A Compromise.